These double pockets measure 13" x 6.25" and fold like a booklet. There is a clear pocket on the front for storing a title card (5.5" x 5.5") and two clear pockets with pouches for labels on the inside. These pockets are designed to store picture cards (5.5" x 5.5"), matching story cards (5.5" x 5.5"), and labels (5.5" x 1.5"). They are ideal for materials such as classified nomenclatures. 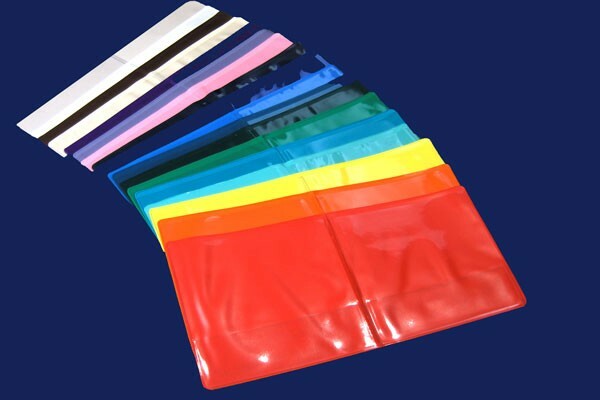 Please Note: The actual colors of the plastic pockets may vary from the colors displayed. Not all colors shown are always available.